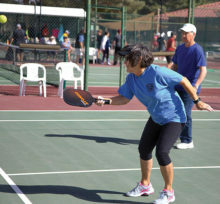 Another fantastic pickleball season is underway here at SunBird. Our club is growing every week, and we now have over 100 residents having a blast out on the courts. Lots of beginners are enjoying the new player orientation that happens every Tuesday or Thursday at 2:00 p.m. A social court has been added for those players who love to get great exercise but want to be less competitive than the rest of the group. If the social court isn’t up and you want it to be, just ask your daily host to set it up. The end of year party will be happening on March 17. We will start with some open play at 8:00 a.m. We will play some fun games and then adjourn for a little lunch. If you want to play, sign up on the clipboard at the courts. The City of Phoenix will have a Grand Opening of 16 pickleball courts at Pecos Park on Saturday, April 21, at 10:00 a.m. The address of the courts is 17010 S. 48th Street, Phoenix, AZ 85048. 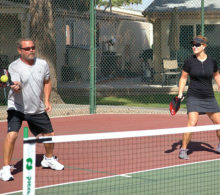 If you need more pickleball information, feel free to call Dan and Marianna at 480-285-4501. 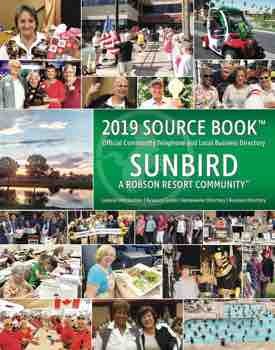 Look for summer hours in the May edition of the SunBird News. See you on the courts!